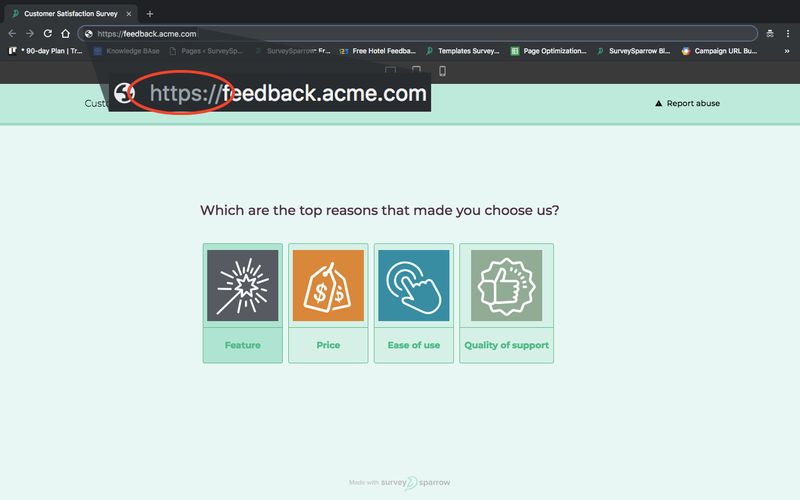 SSL is a security protocol for establishing a secure connection between your browser and the application. The 'https' that precedes a URL implies that the data sent between your browser and the application is encrypted. Thus, the connection established is a secure one. For our Elite and Enterprise users, we offer the Custom SSL feature which helps them secure their custom domain URL with https at no additional cost. Please note that you can reach out to us through the in-app chat or email us at support@surveysparrow.com to claim your custom SSL.